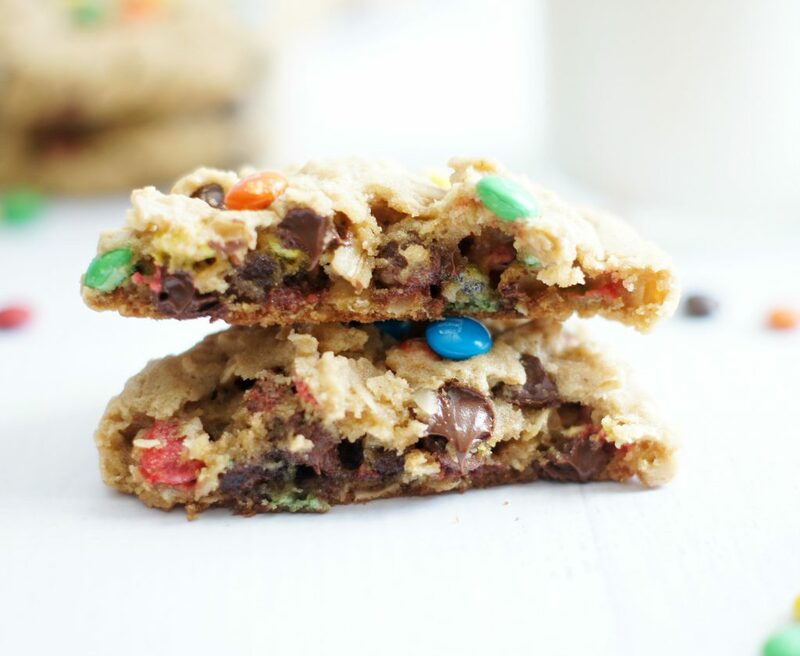 These giant cookies are chock full of peanut butter, chocolate chips, M&Ms and oats. . .all my favorite things. These cookies will become your new favorite. 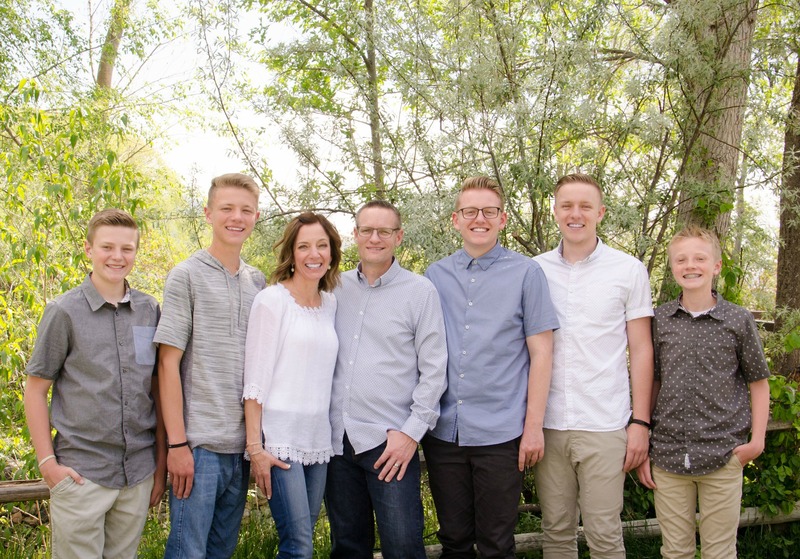 I hope everyone had a fabulous Easter yesterday and was able to spend it with family. I love Easter weekend and I love that it fell on General Conference this year. It was a great weekend, I’m sad to see it over so fast. It’s Spring Break this week for my boys so I had these cookies waiting for them when they got out last Friday. . .perfect way to start a vacation. These M&M Chocolate Chip Monster cookies are truly “monster” when it comes to their size. That’s the dangerous part about these cookies. They’re larger than your average size cookie so you tell yourself you’re just going to eat one, but they’re so good you end up eating two or three which really equals about four or five normal size cookies. Then you realize what you’ve done and it’s too late. . .UGH! I wish I didn’t love cookies so much. 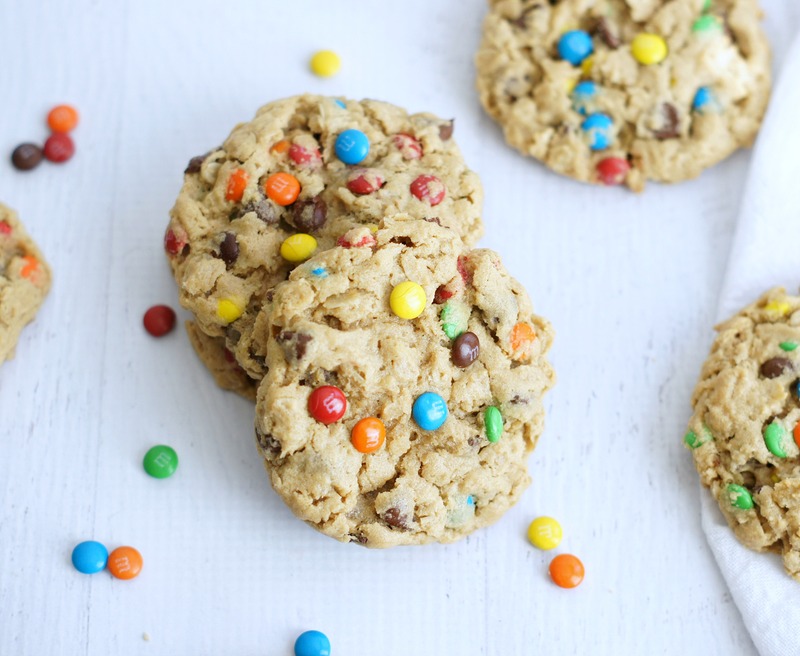 Monster cookies are always a winner with everyone. 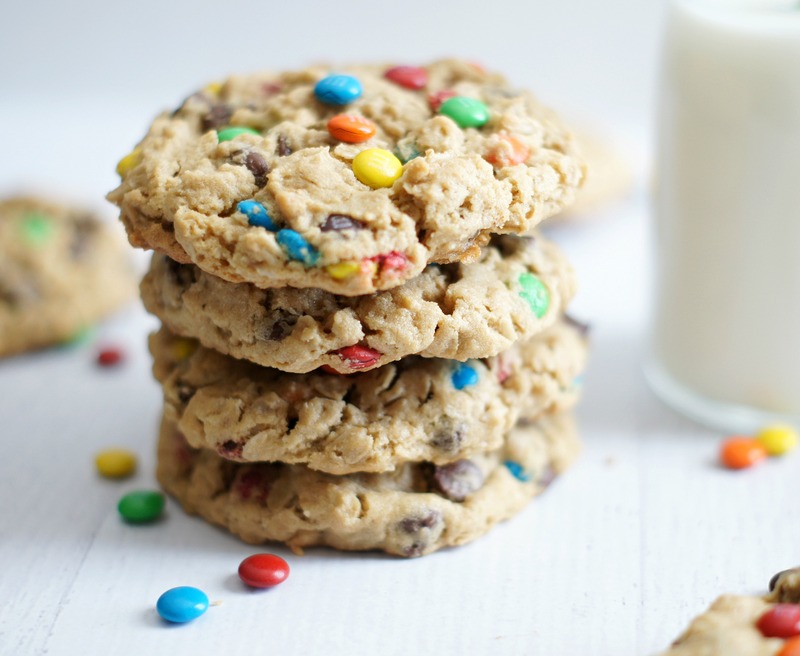 How could they not be . . .peanut butter, oats and M&M’s. It’s a perfect combination if you ask me. These really are delicious. Soft, thick, chewy & chocolaty—yum! My husband and I both agreed these may just be our new favorite cookie, at least for the time being anyway. Aren’t mini M&M’s are just the cutest things ever? Don’t you just wish you had one right now? I do. You really need to make these. You can thank me later (or hate me because you ate too many). Preheat oven to 350ºF and line baking sheet with parchment paper or silpat liner. In a large bowl, cream together the butter, brown sugar, and peanut butter with a hand or stand mixer until light and fluffy, about 3-4 minutes. Mix in the egg and vanilla, scraping down the sides of the bowl as needed. In a separate bowl, add the flour, baking soda, cornstarch, baking powder, and salt and whisk to combine. With the mixer on low speed, slowly add the flour mixture to the wet ingredients and mix until just combined. 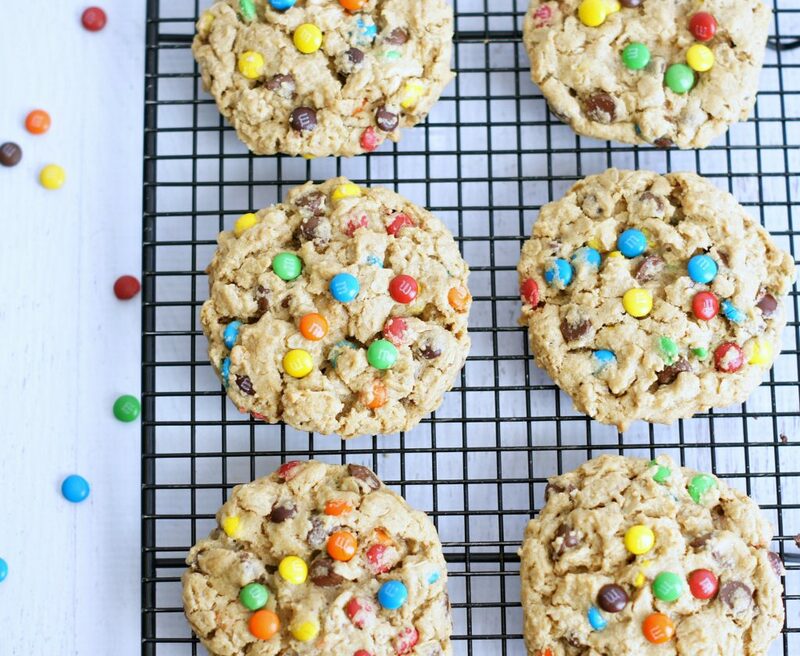 Stir in the oats, chocolate chips, and M&M candies by hand. Measure out ¼ cup balls of dough and place them on the baking sheets. 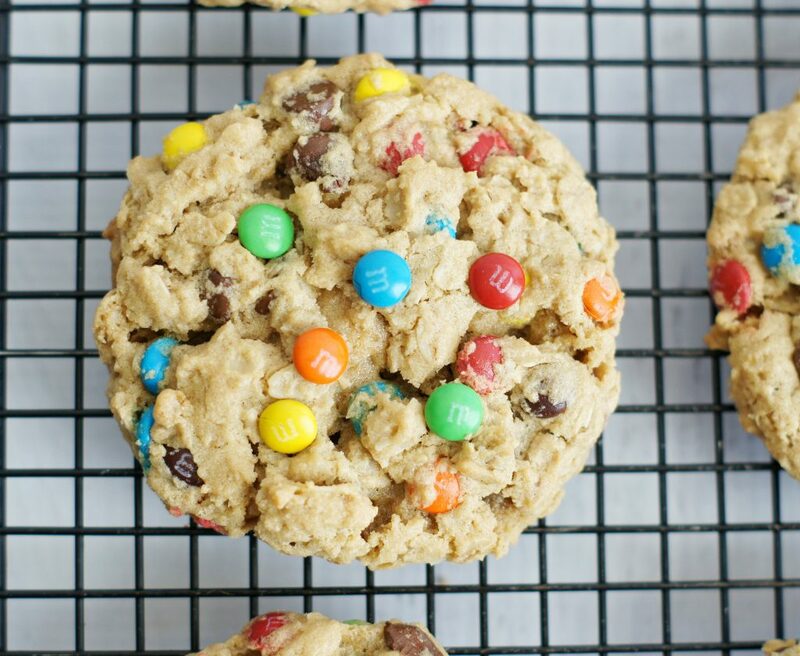 Gently press a few extra M&M’s into the top of each dough ball before baking (optional, just makes them look nice). Bake the cookies for 11-13 minutes until the edges are just starting to brown and the top still looks slightly undercooked. Remove from the oven and cool for 5 minutes, then transfer them to a wire rack. Made these yesterday! Awesome! My boys loved them and were sharing with their friends. 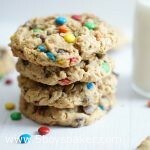 Another great cookie recipe! I doubled the recipe and ran short of the mini M & M’s so the boys suggested milk chocolate/peanut butter combo to finish up my shortage. Turned out great. These are a favorite around here too! So did you add peanut butter chips and milk chocolate chips? If so, that would be delicious!